S/L. J. Cookson in Firefly 270/A. 19th March 1946. S/L. 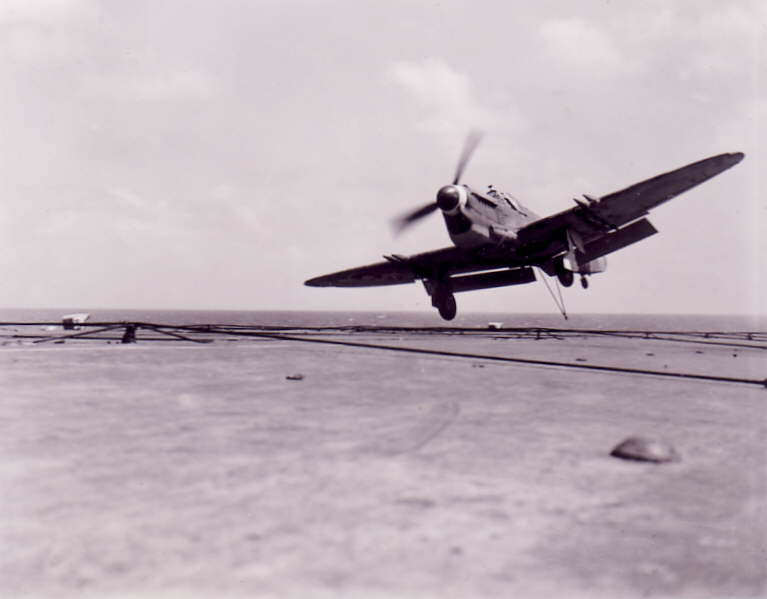 'Mush' Taylor comes into land on HMS. Vengeance in March 1946. 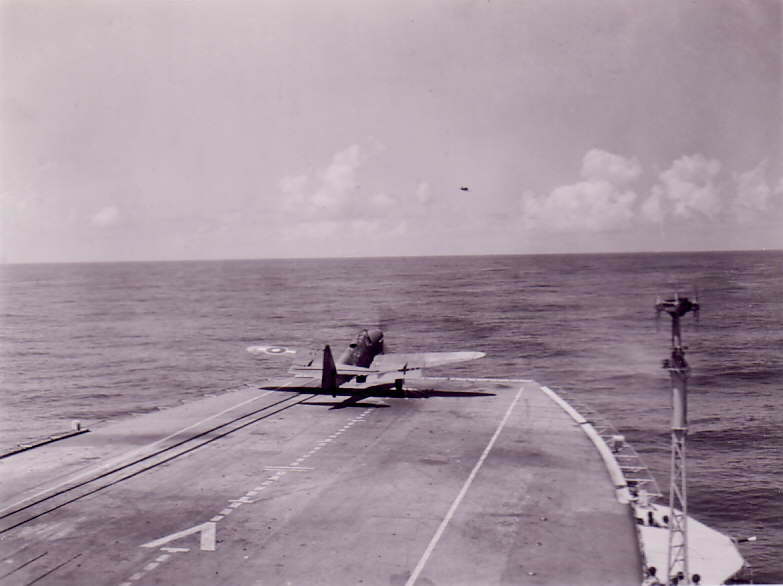 Fairey Firefly FR.1 takes off from HMS. Vengeance, 25th March 1946. Ship en-route to Colombo, Ceylon. 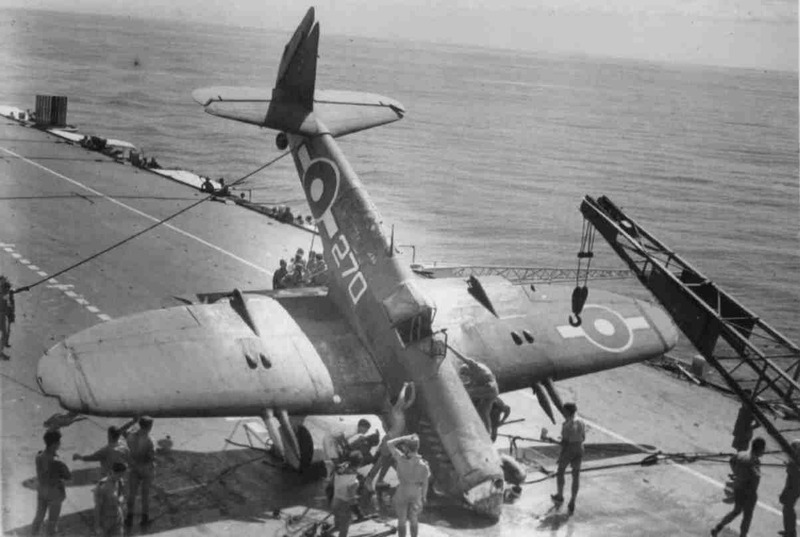 Firefly port undercarriage collapses on landing, HMS. Vengeance, 30th March 1946. S/L. J. B. Cookson. Ship en-route to Colombo, Ceylon. 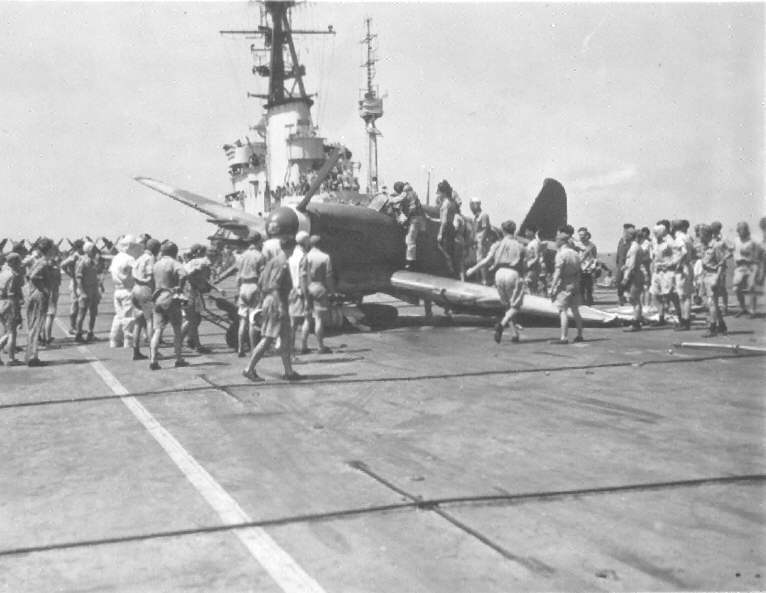 Firefly finally comes to a halt on flight deck of HMS. Vengeance, 30th March 1946. S/L. J. 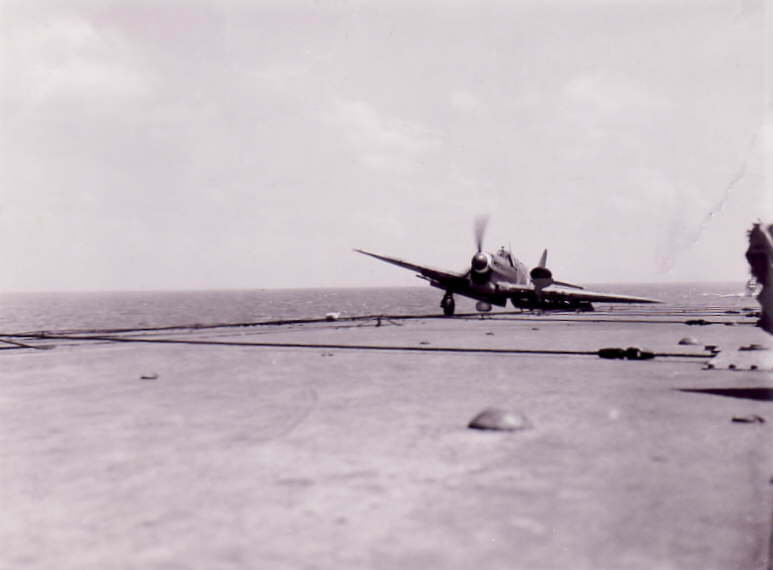 B. Cookson exits the aircraft.